Garden Plant Design showcase a project from February ’17. 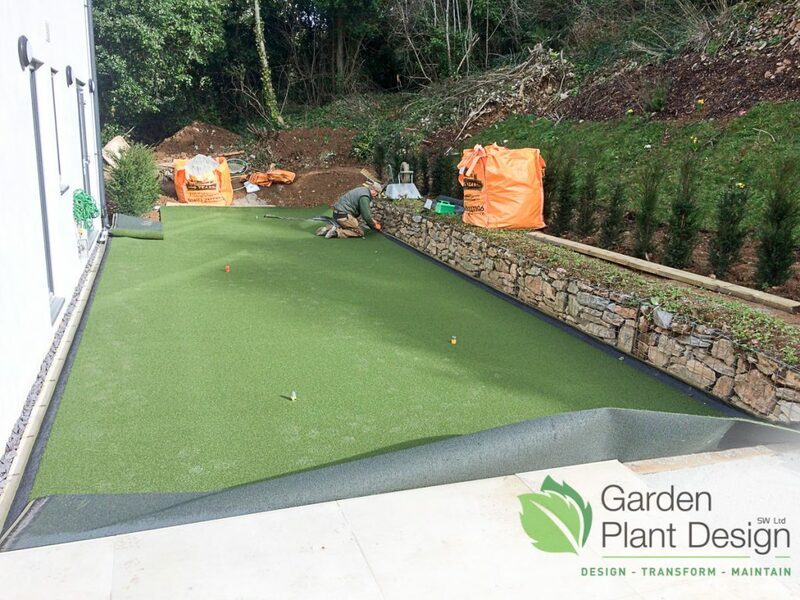 The initial contact with our clients was for various projects throughout their grounds including a putting green in Torquay. 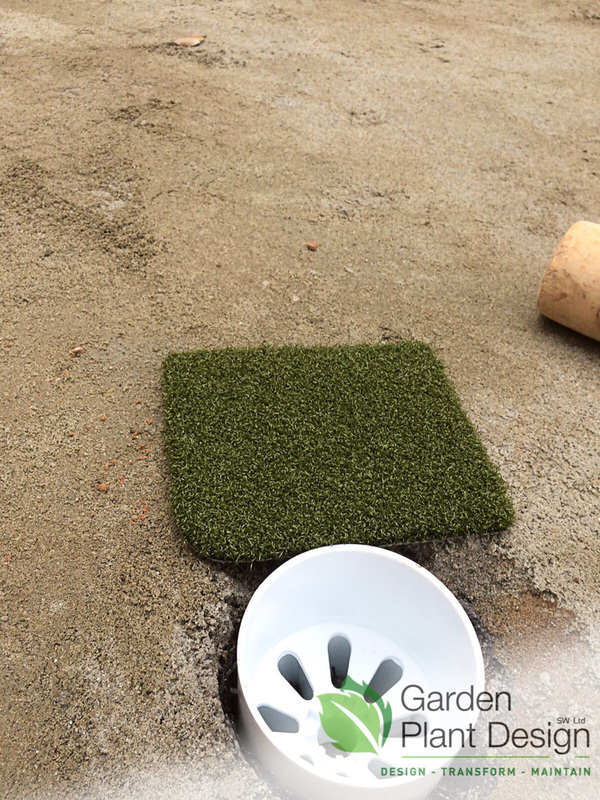 To Sculpt ‘Rough’ areas into the putting green and add 5 holes. 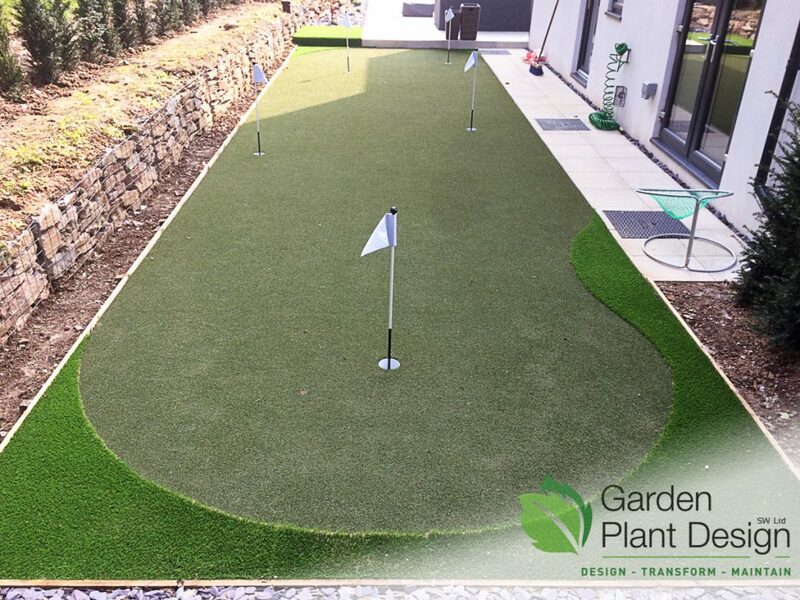 A putting Green in your back garden! Doubles as a large functional and social space. 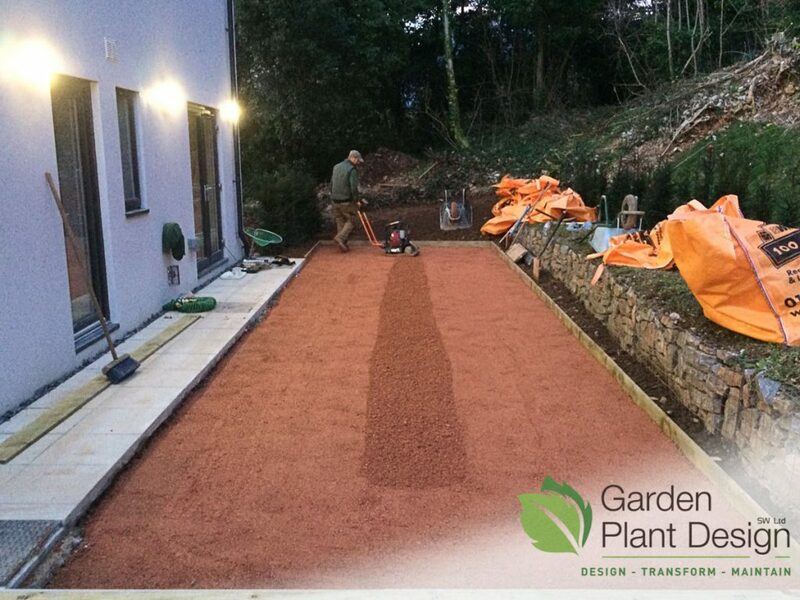 This is a New-Build property built inside an old quarry so when we arrived we found very soft and unusually deep topsoil which had to be removed. Alas, access was limited so most of the first week involved us having to remove the topsoil by hand instead of the trusty mini digger. 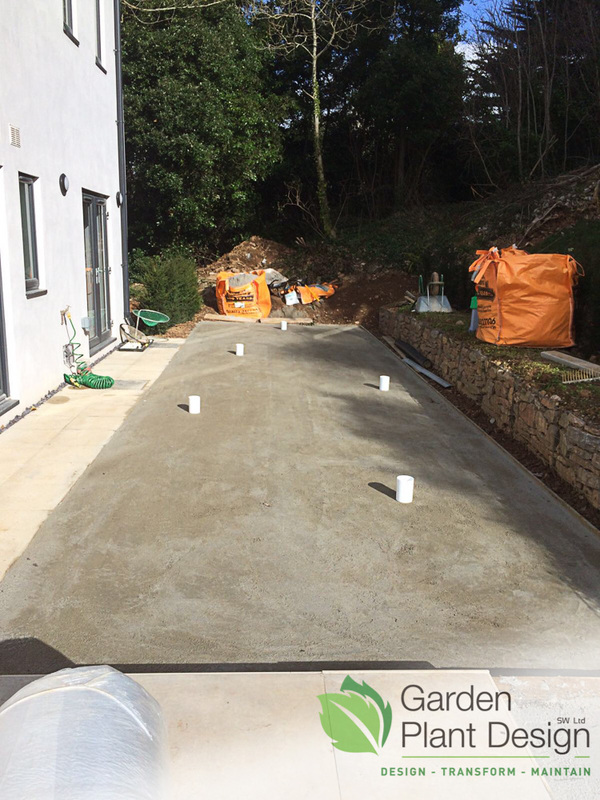 When this was complete we added an external frame and backfilled with 100mm of scalpings, adding about 30mm each time and then compacting. 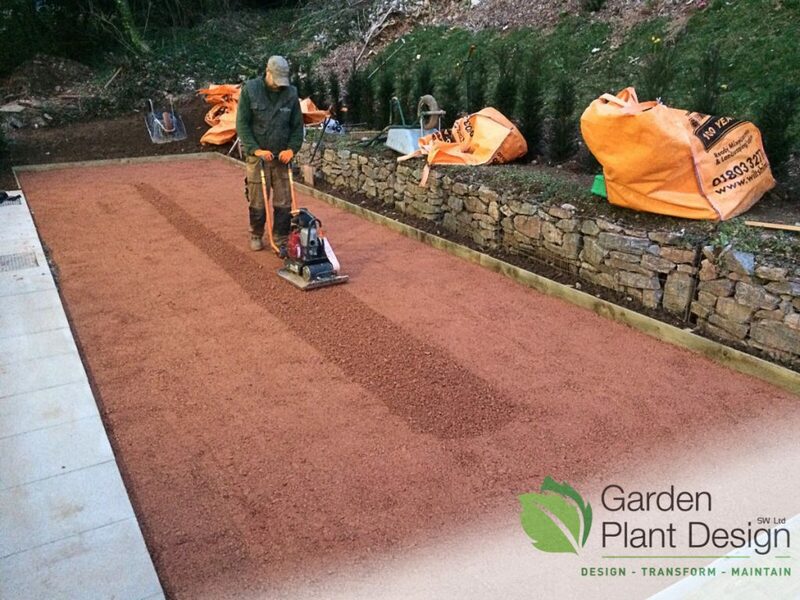 After the scalpings we then added 50mm of 10mm-to-sand adding Postcrete around the edges for extra strength and doubling as a weed barrier. Again, adding a small layer at a time and compacting. 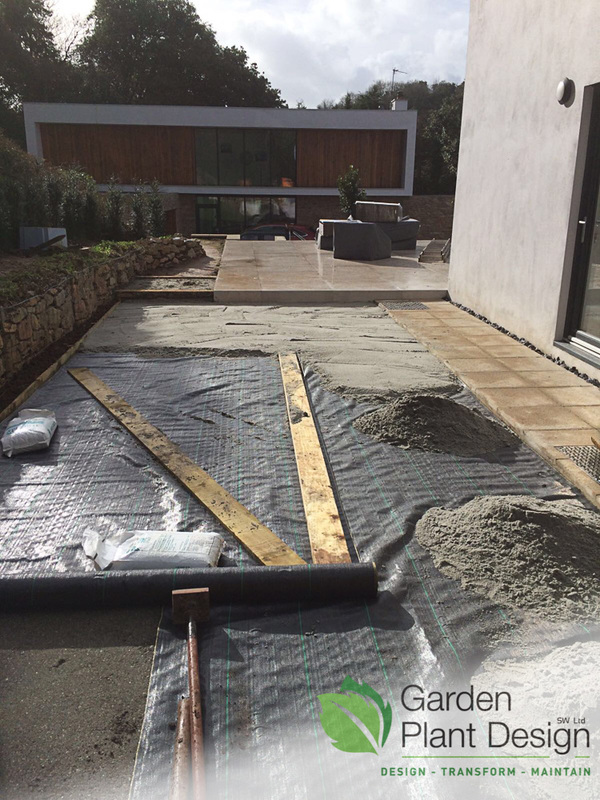 Next we added a membrane to prevent any weeds and then finished off with a layer of sharp silver sand, again, adding Postcrete around the edges for extra strength. Then compacting. 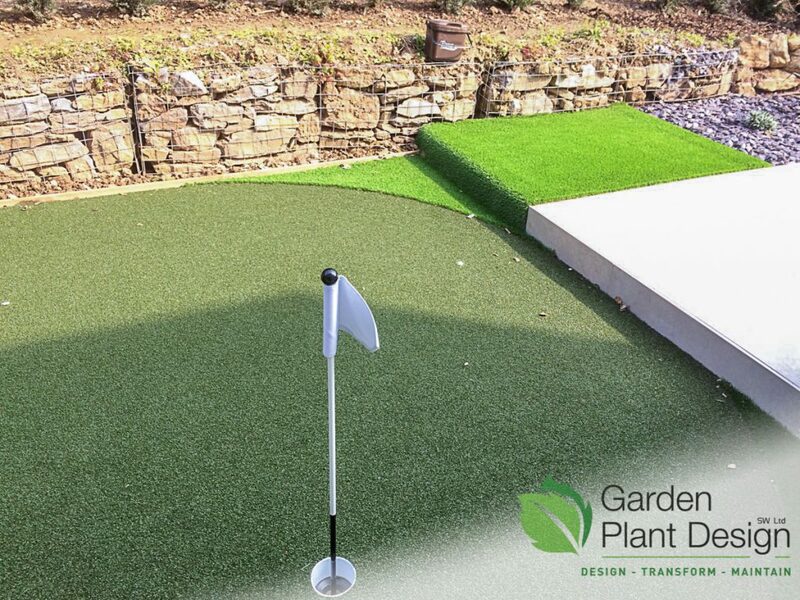 Of course, what’s a putting green with holes?! 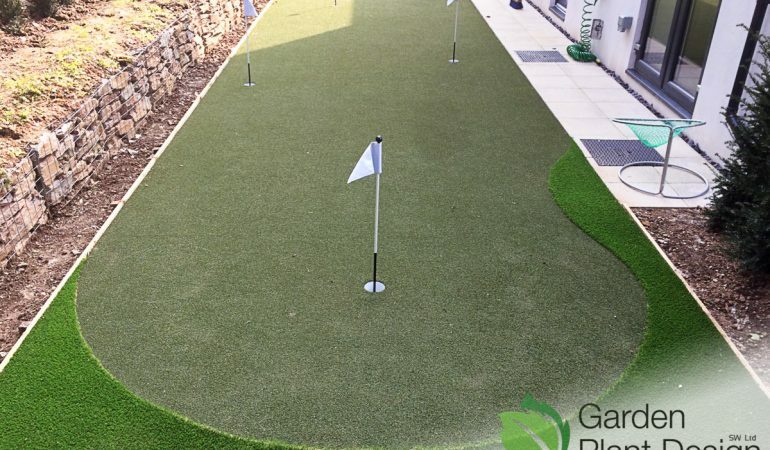 Our client wanted 5 in different areas and at different angles to the chipping area. 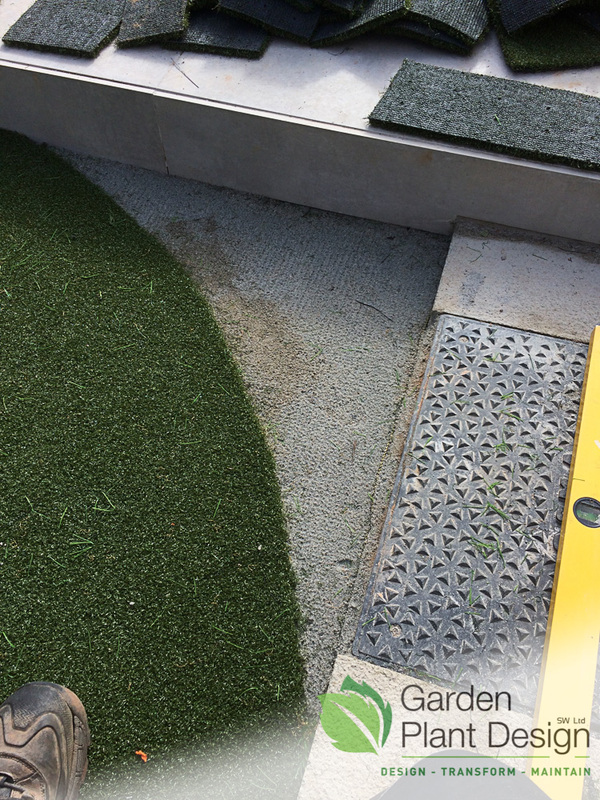 The artificial grass was just over 10mm thick so we lined a sample up so the depth of the hole was just under the height of the grass. 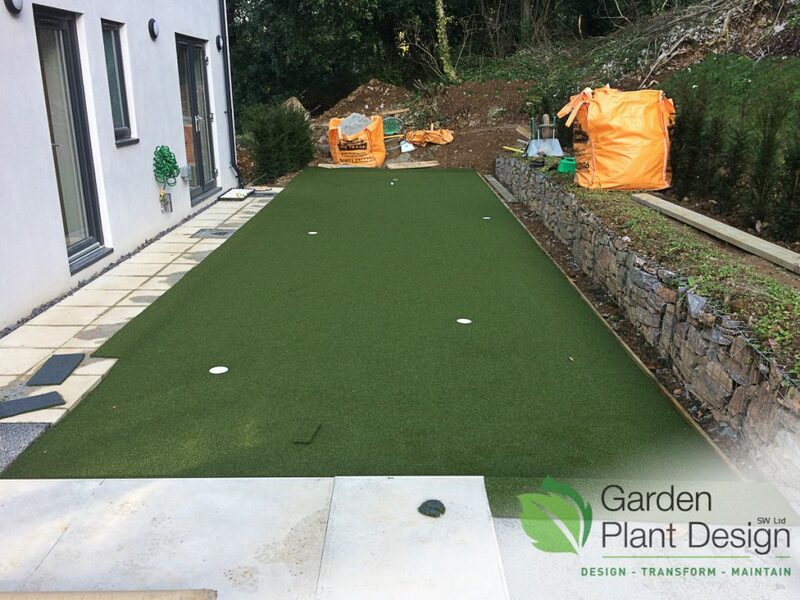 The specified artificial grass was supplied by Lazy Lawn in Taunton. We rolled it out just like a carpet and began trimming the edges to fit and marking where the holes were underneath. All 5 holes in place and now ready for adding the “Rough” areas. 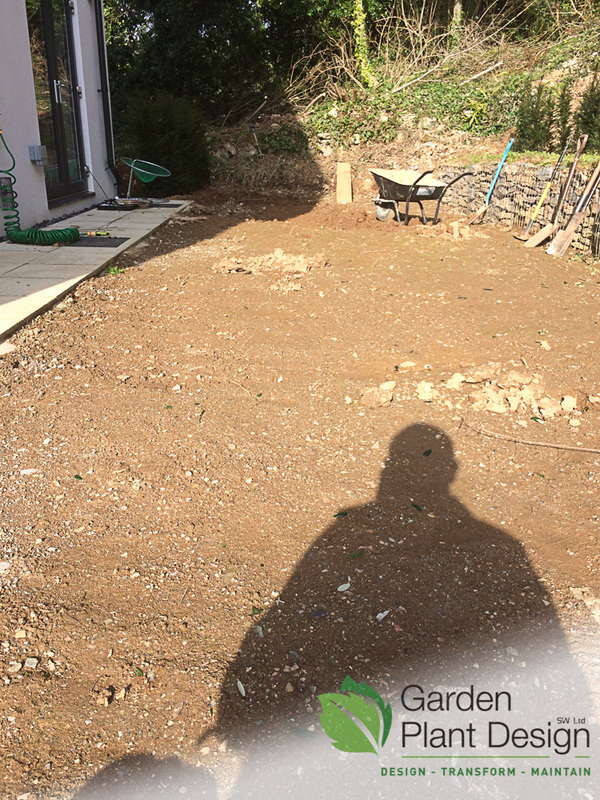 After making sure the artificial grass was perfectly flat, we started to mark out and cut back the areas to be replaced with a longer grass. 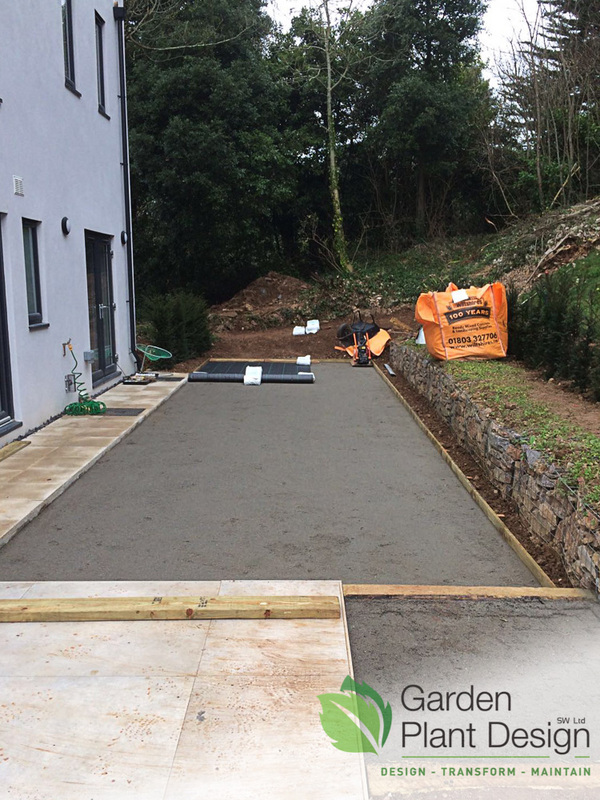 These were then shaped and fitted in to place using barrier tape, nails and the supplied lawn adhesive. 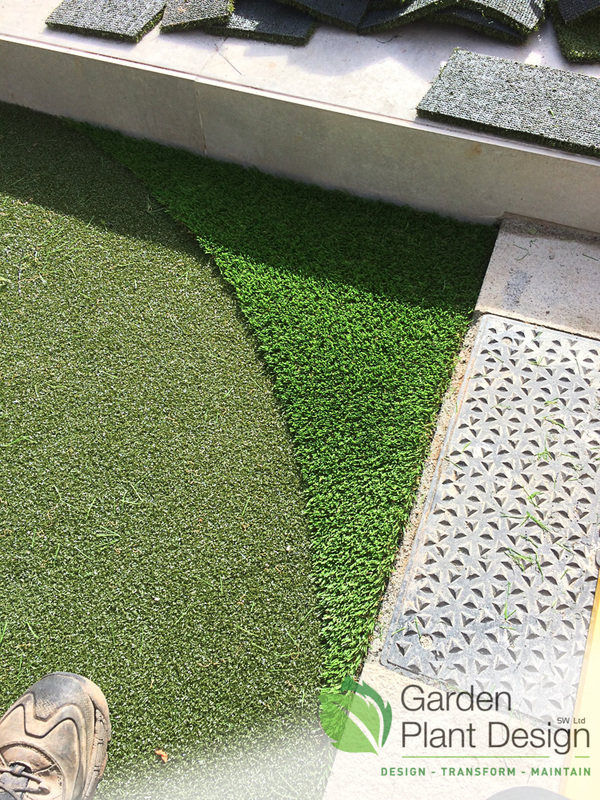 Strips were then cut to length and placed on top of the shorter artificial grass to give us the layout we required. Then we continued to create the extra pieces, marking them using geometric points to the garden, i.e. : center of holes, corner of buildings, etc. Once all had been cut and fitted, we fixed everything down. We finished off the ‘Chipping Area’ at one end, raising it 150mm from the height of the main area. Dry Kiln Sand was then added to the whole area. 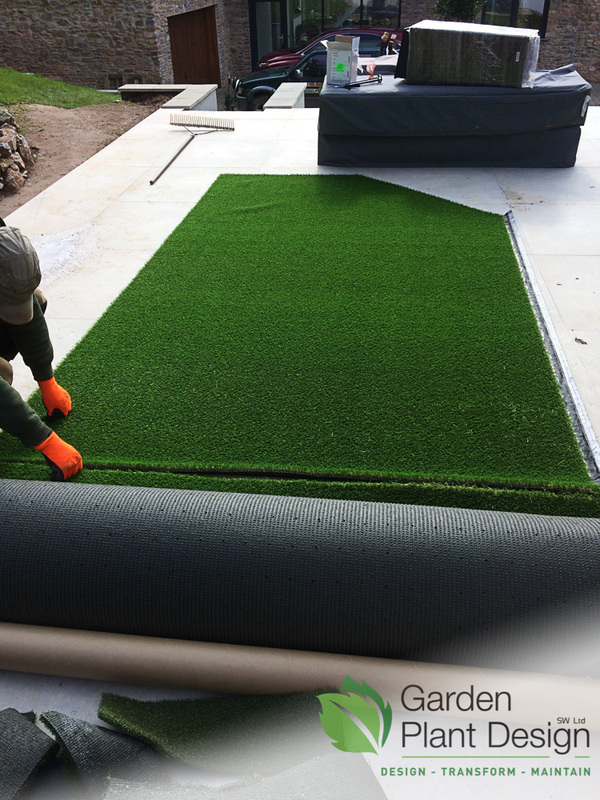 This acts as a protection, preventing the rubber backed artificial grass from over heating and bobbling. 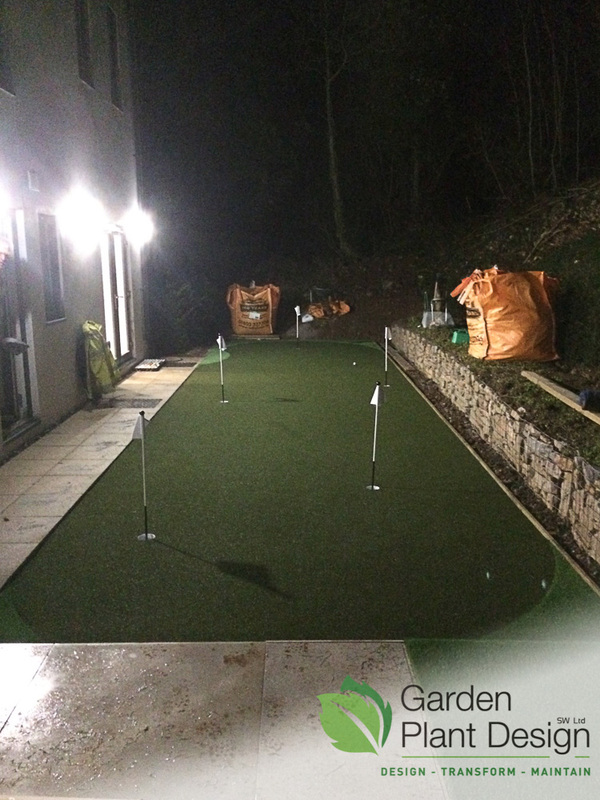 Here is our finished Putting Green in Torquay ready to go and our client can’t waiting to play! 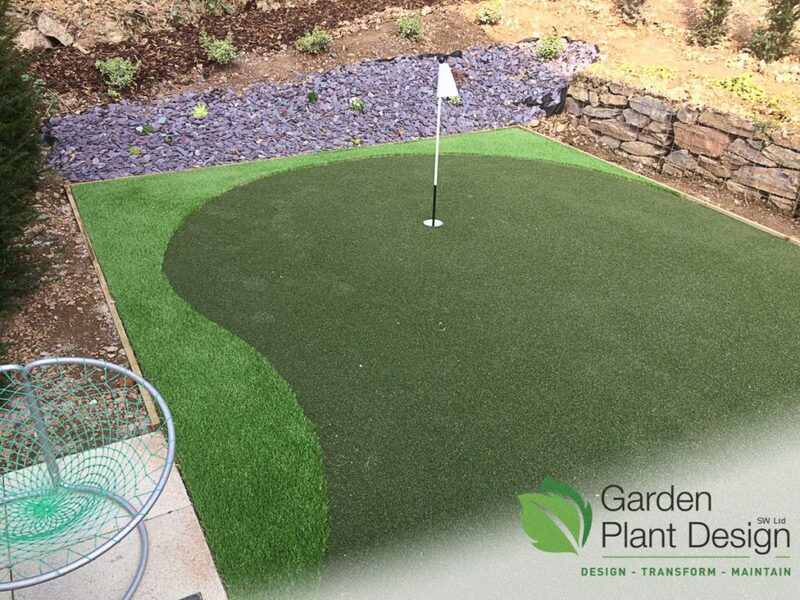 Please contact us for further information to discuss your Garden Landscaping Service requirements.